Welcome to outbound adventure for the game of colors, team work and planning. Its game of guts and glory of speed. Paintball is a very popular English adventure sports,we all are proud to open this game first time in rishikesh( uttarakhand) ,this sport is a team game, the game entails each participant of every team eliminating other team members by simply marking them out and shooting the opponent with a big splotch of paint, the best option for perfect holiday and ideal opportunity for some quality receation. 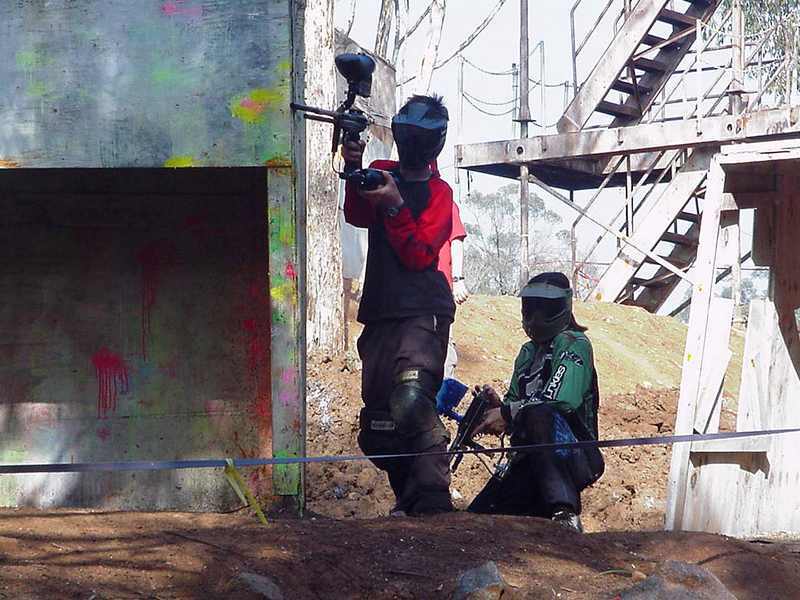 Paintball Activity is weaning youth off their Xbox consoles and inviting them to experience a game that has all the chills and thrills of a combat but none of pan and aches. 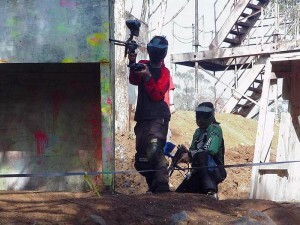 Paintball Adventure Activity is a modern version of peek-a-boo. 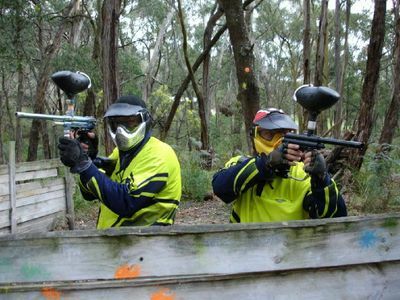 Adventure Activities: Body Surfing, Cliff Jumping, River Rafting 16 Kms, Jungle Trekking 4 Kms Waterfall, Paintball. Camp Activities:Jungle Camp, Volleyball, Music for Bonfire Time, Fixed Toilet with Running Water, Badminton, Cricket etc. Adventure Activities: Body Surfing, Cliff Jumping, River Rafting 24 Kms, Jungle Trekking 4 Kms Waterfall, Paintball.